Parents worried about hygiene on long car journeys can rest easy thanks to groundbreaking new car seat travel tray, made with unique anti-bacterial, bug-busting coating! Parents who dread stressful car rides with the kids can bid goodbye to tears, boredom and bug patrol thanks to an innovative, uniquely hygienic new car seat travel tray designed to make journeys with small children easier than ever before. 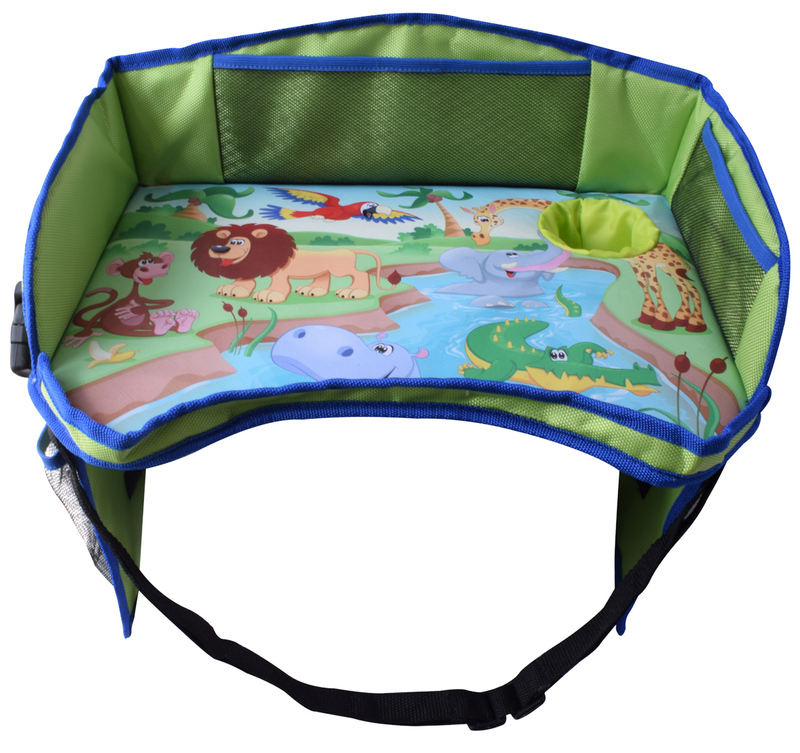 The ideal companion for toddlers who need to stay entertained, the ecoZen Lifestyle car seat tray couples a pioneering anti-bacterial coating with an utterly practical layout. It helps keep youngsters occupied on long journeys, thanks to a sturdy, practical design and factors in plenty of space for snacks and activities. An integrated side pocket, tablet holder and cup holder gives younger kids everything they need at their finger-tips. While the children play, eat and indulge their imaginations, a premium, utterly innovative non-toxic cover allows parents to relax, safe in the knowledge that bugs and bacteria are being kept at bay. The special coating is an ecoZen exclusive and tackles the problem of long car rides mixed with inquisitive kids prone to putting things in their mouth head on. 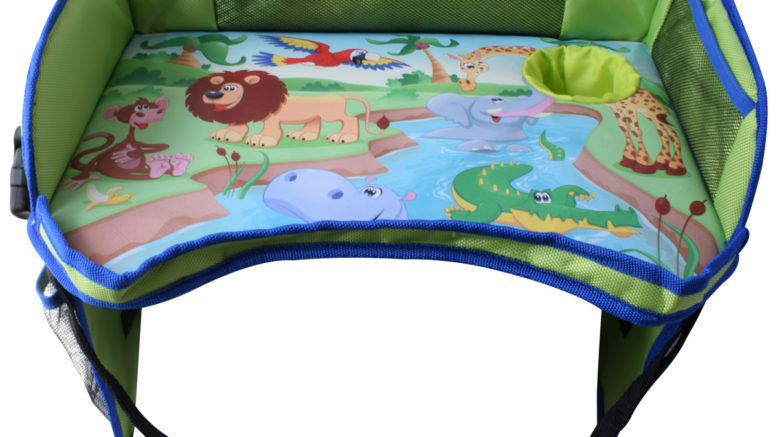 The car seat tray is specifically designed to stay disinfected for much longer, particularly when used in conjunction with normal cleaning wipes – which means it effortlessly removes 99.9% of bacteria to create a safer, healthier surface for children to play, eat and carry out all sorts of activities. Crafted from durable yet flexible nylon for longevity and durability, the bug-busting activity tray is designed to be truly universal and compatible with a huge range of car seats, buggies, pushchairs and strollers. For parents, this means total flexibility and adaptability, no matter the location or mode of transport. Whether integrating into a car seat, or fixed onto a push-chair, the tray keeps its shape and ensures a contented toddler – all the while giving parents complete peace of mind thanks to the hard working anti-bacterial coating. The tray is also ultra-portable and can be stowed away safely when not in use, so it’s great for taking along on those ‘just in case’ occasions. 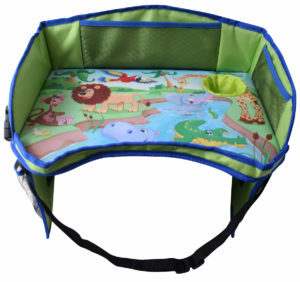 The ecoZen Lifestyle car seat tray is a stylish, practical and durable new car tray designed for children. It removes 99.9% of bacteria thanks to a unique new anti-bacterial surface, allowing kids to eat and play in safety. The tray is durable, flexible and sturdy, ensuring comfort for the child and peace of mind for mum and dad. Be the first to comment on "ECOZEN LIFESTYLE ANNOUNCES RELEASE OF NEW CAR SEAT TRAY WITH GROUNDBREAKING ANTI-BACTERIAL SURFACE COATING"